Kallos is mainly famous for irreplaceable hair masks. Every woman can find something suitable among Kallos variety of products. What about those who choose oils and prefer lighter cosmetics? Kallos introduces Kallos LAB35 Indulging & Nourishing Hair Oil. LAB35 – take a closer look. What is the performance of Kallos Indulging & Nourishing Hair Oil? LAB35 hair oil helps to regenerate damaged hair. Thanks to the formula – rich in plant oils – the cosmetic can rebuild even extremely damaged hair structure. The regeneration entails strong moisturising and nourishing as well as immediate effects – velvety softness, shine and intense colour. Kallos LAB35 has a very sweet and characteristic fragrance. In spite of 50 ml capacity, the cosmetic is very efficient. Lightweight formula and bottle with a pump increase the efficiency of the product. 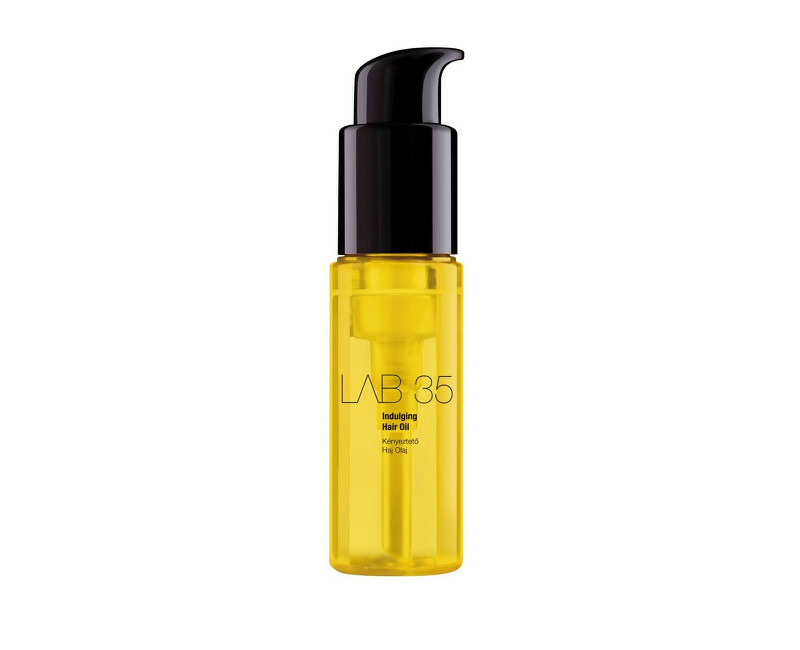 LAB35 Indulging Hair Oil can be applied to dry and damp hair. Thanks to delicate formula, there is no need to rinse it.